the current exhibition at Throckmorton Fine Art. An interview with Gallerist and Collector Spencer Throckmorton by Graciela Kartofel follows the essay. The accumulated Mexican cultural heritage is revealed in intense and sublime characteristics in the photographic works of Lola Alvarez Bravo and Mariana Yampolsky. Through the years, Mexico has enjoyed international admirers in every field—music, anthropology, visual arts, literature, popular art, handicraft, architecture and food. One hears many different comments on the source of the devotion to this country. Intellectuals and professionals express their high perception of Mexican culture, with many citing Nature as a link to Mexican richness, as well as the many colorful native celebrations. In this essay, we concentrate ourselves on the photographic topic and its reference to the human and visual sides of Mexican culture. World-renowned photographers went to Mexico attracted by its diversity. Just to name a few familiar to us, we remember Hugo Brehme, Claude-Joseph-Désiré Charnay, Guillermo Kahlo, Edward Weston and Tina Modotti. The activity of photography in Mexico stretches back to 1857 – some researchers say that it dates to as early as 1839. 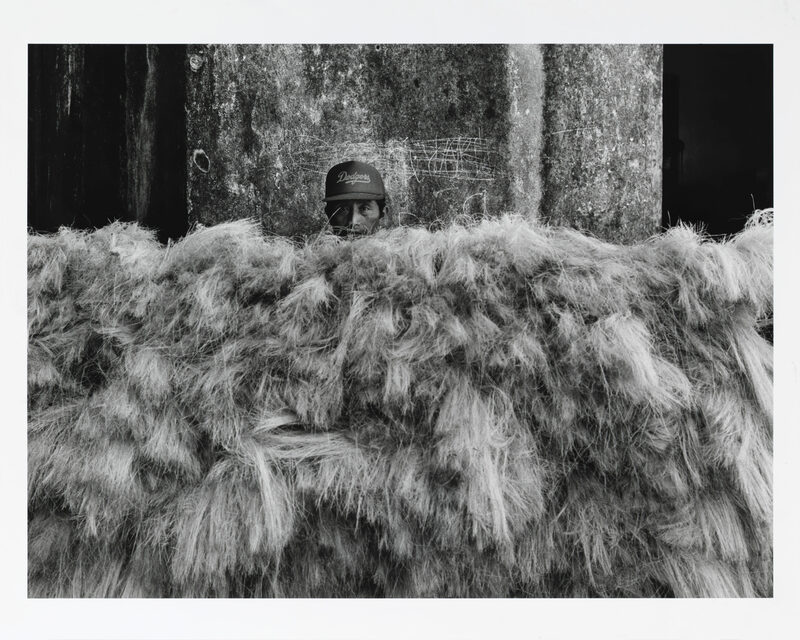 The more intense epoch of photographers in Mexico can be framed from 1860 through 1920 – coinciding with the period of the French Intervention in Mexico and the end of the Mexican Revolution. With Maximilian, the French emperor in Mexico, photography was of intense use, many portraits had to be taken, and the European activities and customs were introduced—like the carte-de-visite. During the Revolution, we know what kind of themes were photographed, and by the end of the armed conflict came years of political upheaval together with changes and modernization in Mexican cities. There is no doubt that the murals Diego Rivera painted between 1929 and the mid-century in the Government Palace and other venues are magnificent, beautiful and powerful. But human reality is not as evident in them as much as it is in the approach used by Lola Alvarez Bravo and Mariana Yampolsky in their photography. The two women were not portraying political messages at all. On the contrary, they were both deeply touched by the country and the people they met, the indigenous cultures they discovered with every step along their trips, and the various works they did on Mexico for the Office of Public Education and other institutions. Murals and photography are visual communications. The murals in the public buildings told history to people who could not read. After the Revolution, the government wanted to establish a national identity, and considered that those huge paintings could help. Actually, they didn’t. Identity, as a theme, carried on for many years, and even well into the 1980’s people were tackling this subject through conferences and research. The murals evidently had nationalistic, social and political messages. It was the starting point of a tradition that continues in Mexico with impact in Latin America, England, France, parts of the United States, and has inspired the Chicano art movement. One can understand formal Mexican muralism as having three components. The murals presented an official discourse of the government. The visual messages were the communication that painters created between them, the government and the public; and they included provocation and mockery. An expressionistic social-realistic style confronted the formal doctrines of the murals. Having said this, though, it is interesting to compare these statements to what was taking place in photography. Let’s remember that during the time when Lola and Mariana were taking pictures, photography meant rolls of black and white film that required skill to master the developing process in the dark room. The photographer’s hand is evident at each step providing contrasts—subtle or intense—, that made and still make the difference in the style of those early masters. Some of the other elements that distinguished these great photographers were the compositions and themes that they were thrilled to explore. Throughout the thirties, forties and fifties, photographers did huge portfolios on their most beloved themes. Neither Lola nor Mariana could pass by anywhere without shooting whatever caught their eye, even if they were studio photographers. Mexico was a city and a country that were beginning to get established and experiencing rapid growth. In Mexico, the topic about identity was very pronounced. This is understandable in a colonized country that had so many indigenous tribes and such strong pre-Columbian cultures. Identity was and is a theory and a reality that concerns and requests attention from every Mexican, even nowadays in the second decade of the twenty-first century. For those familiar with Mariana Yampolsky’s biography, it could sound a bit confusing that with European parents who escaped the Nazi persecution and with her own birth in the United States, she could get so involved in all these aspects of Mexican life. But this is part of Mexico’s surreal identity. Many people from all over the world went to Mexico, for different reasons, and fell in love with the country, the people and the culture. Just to mention a few similar cases to Mariana’s, here are three worth citing, among others: the visual artist Arnold Belkin, the surreal artist Leonora Carrington, and the cinematographer Luis Buñuel. 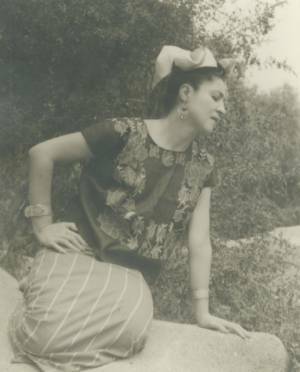 Lola Alvarez Bravo was born Dolores Martínez de Anda on April 3rd, in 1903 or 1907, in Lagos de Morelos, Jalisco. She died on July 31, 1993, in Mexico City. As a sign of coquetry, she always hid her year of birth. Her parents died when she was a child, and she went to live with an older half-brother in Mexico City where she attended the Colegio del Sagrado Corazón/the Catholic School of the Sacred Heart. In 1925, Lola married her long-time friend Manuel Alvarez Bravo. They went to live in Oaxaca because of Manuel’s work as an accountant for the federal government. Meanwhile, Manuel began taking some pictures. Lola took that example and began learning the technique herself. Interesting situation this of the two Alvarez Bravo: they were both self-taught. Lola and Manuel’s marriage would end in 1934, but the official divorce took place almost fifteen years later. Lola would never marry. Photography, teaching, portraits, and classifying images, would be her life. Although film developing – el cuarto oscuro – interested Lola very much, she preferred to go around taking pictures with a simple market bag and the camera inside. She began to do portraits by chance, and it became part of her modus vivendi also leading her to one of her many jobs, the work for the magazine El Maestro Rural / The Rural Teacher, published by the Office of Public Education. Not known by many, Lola’s’ experiments with photomontage were unusual. As the French word says, photo on top of a photo or part of one image on top of another one, became a different image, something not existing, and something not resulting from the perspectives the camera could offer. Lola Alvarez Bravo had cinemagraphic experience as well, which drives us to the comparison between the two fields in photography: the quiet and the moving images. Photography exists as such in a plate, printed on paper. Cinema specialists consider the photographic act included in the cinematic act. Cinema absorbs photography as it makes it move. Therefore, cinema is moving photography, and photography is a stopped filming image. Let’s go back to Lola’s one and only short film, Chapingo. It deals with Diego Rivera’s murals al fresco technique in Chapingo. In 1923, the National School of Agriculture founded in Mexico in 1854 was moved to Chapingo – which until then had been a Hacienda of President Alvaro Obregón. Aesthetically, Chapingo’s chapel is considered the best work by Diego Rivera. Lola Alvarez Bravo was deeply touched by the artwork as much as by the new medium. She had other cinemagraphic projects, but budgets were never available, so this remains her one relation to the moving image and took place in the sixties. Mariana Yampolsky was born on September 6th, 1925, in Chicago. She died on May 3rd, 2002, in Mexico City. Her mother was Hedwig Urbach and came from an intellectual family that didn’t know of financial restraints. Her father, Oscar Yampolsky, was a Russian emigre escaping anti-Semitism, a sculptor and painter. When they moved to the United States Mariana lived on the farm of her paternal grandparents. Her uncle on her mother’s side was the renowned Franz Boas, a pioneer in Modern Anthropology, who decisively influenced her. (2) By the time Mariana finished her studies, receiving a Bachelor of Arts and Sciences from the University of Chicago, her father had passed away, and her mother decided that they would move to New York. 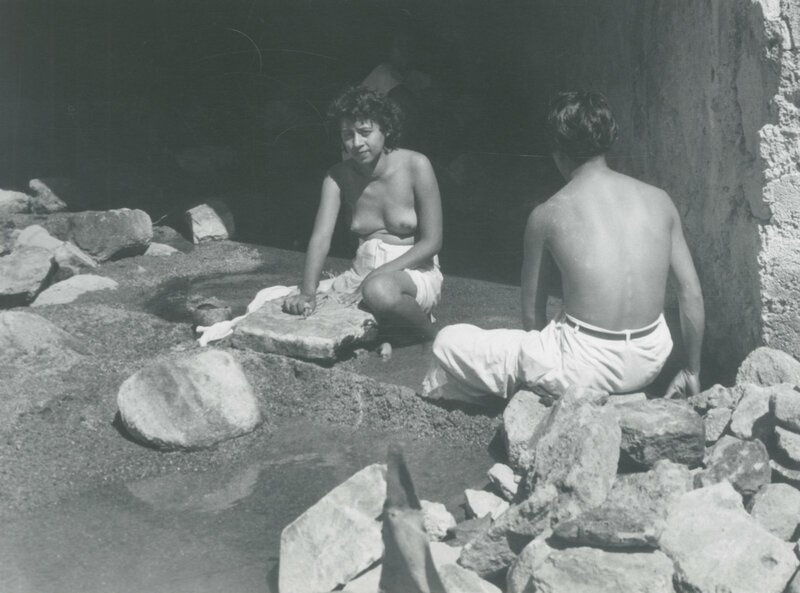 Shortly after, Mariana Yampolsky heard about the Mexican muralist movement in a lecture she attended and decided that she wanted to go to Mexico. It was the year 1944. Not speaking a word of Spanish, she soon began to move around in the city. Mexican people and the country itself seemed to get under her skin. She tried to connect—as one does—knocking on doors, until she met Pablo O’Higgins. Shortly after, he introduced her to Leopoldo Mendez, and that was how she began to work at a printer’s space mostly devoted to labor unions and farmers. Mariana became the only woman at the time to work at the TGP—Taller de Gráfica Popular / Popular Print Workshop or People’s Graphics Workshop (referred to in both ways). There she met and worked with accomplished artists who did prints, drawings, and paintings, and she became immersed in the world of Visual Arts, and in a group deeply involved with social concerns. It was here she would have contact with Elizabeth Cattlet, the great American sculptor, recipient of various awards, who was living in Mexico as she was married to the artist Francisco Mora. Cattlet was in the TGP from 1946 through 1965. 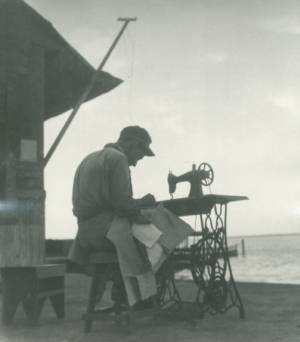 In 1952, the devoted printer Celia Calderón also entered the TGP and organized traveling exhibitions for the association. The use of wood and linoleum in the TGP gave the artists the possibility of rich textures and lines in diverse directions as to accomplish active compositions. It is very important to mention that in the TGP artists worked quickly, didn’t number their prints, many times forgot to sign their artwork, and charged very little, often giving their pieces for free to workers and social activists. Mariana Yampolsky was deeply involved with the TGP from 1945 through 1960, when part of the group left having had difficulties and arguments between them for over a year. Yampolsky played a significant role at TGP – secretary, printer, and exhibition organizer – local and international ones –, plus doing her own prints. On top of that she would take daily home-made bread to sell, trying to make ends meet. She became a Mexican citizen in 1954. Her prints were powerful semi-abstract references to her political/social ideas, such as Nuclear war might transform the world in a desolated field, which was published in 1958. In the booklet Mexico is in danger. It was not Mariana’s idea to become an artist, but that is how her life developed, quickly reaching accomplishments. 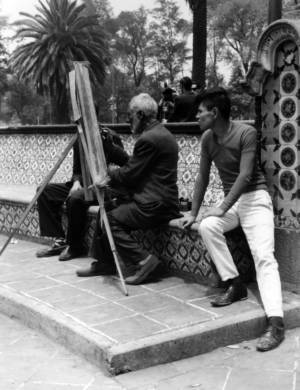 Not long after leaving the TGP, she was hired as the photographer for a two-volume book entitled Lo Efimero y Eterno del Arte Popular Mexicano / The Ephemeral and the Eternal in Mexican Popular Art. From then on, Mariana Yampolsky’s life would center on working in photography, prints, editorial, organizing exhibitions and writing. Yampolsky’s photographs have been published in numerous books. La Casa en la Tierra (The House of the Earth, 1981) and La Casa que Canta (The House that Sings, 1982) focus on the architecture of rural Mexico, while Estancias del Olvido (Forgotten Estates, 1987) and Haciendas Poblanas (Haciendas from Puebla, 1992) both document the faded majesty of Mexico’s colonial plantations. 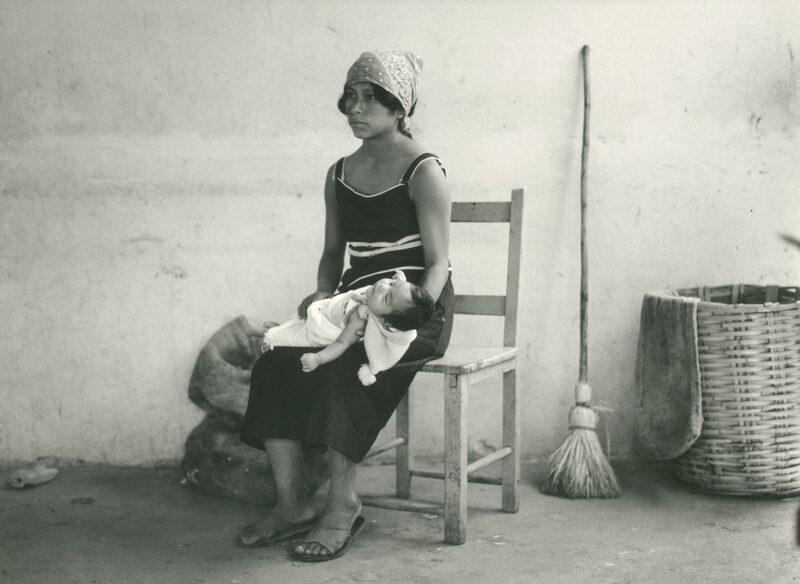 Yampolsky’s photographs of poverty-stricken peasants working on Mexico’s remaining haciendas suggest that the realities of a pre-Revolution Mexico persist in some parts of the country. 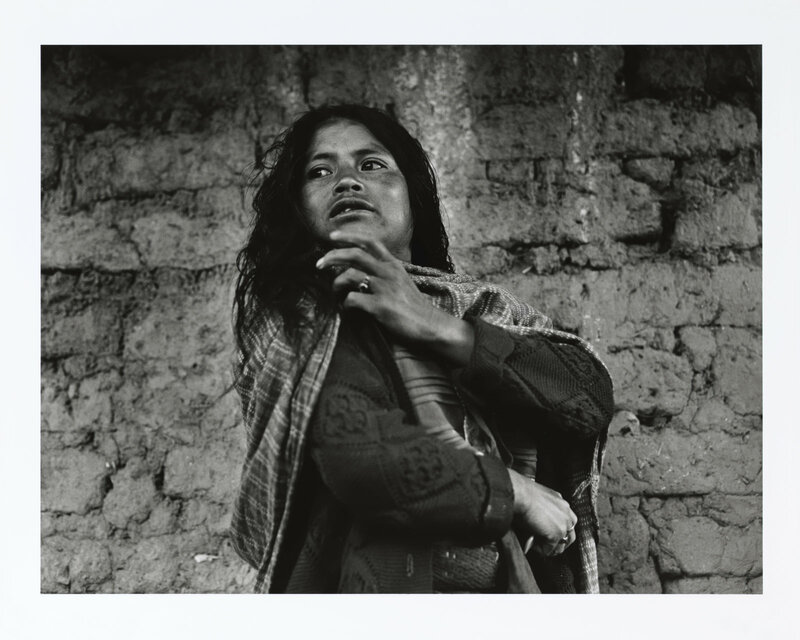 And the photographs included in Mazahua, published in 1993, form a compassionate and moving portrait of Mazahua wives and mothers whose husbands have left them to find work in the cities. Despite the range of subjects, all her photographs share at least one thing in common: a quality of timelessness. 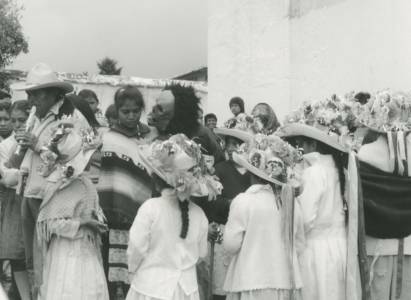 The buildings, people and festivals that she captures in her photos, suggest a tenacity with which history and traditions survive in contemporary Mexican life. 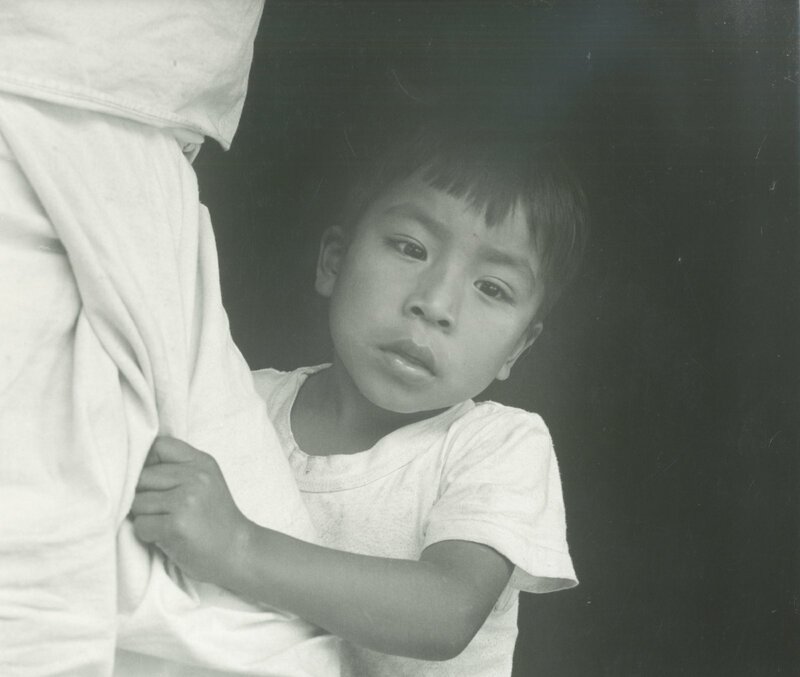 Bill Wittliff, the Texan writer and photographer who founded with his wife The Wittliff Gallery of Southwestern and Mexican Photography in the Southwest Texas State University San Marcos, wrote in 1996 on the catalogue of Mariana Yampolsky’s exhibition, “Mariana Yampolsky’s great heart beats for the gente – the common people of Mexico. Look at her photographs. . . these people have wiggled their toes in the earth since immemorial time, suffered a fiery, tortuous history of abuse, poverty and neglect for a thousand years, and yet endured to create a vibrant culture filled with art, music, ritual and mystery… Mariana pays them the greatest of tributes: to see them as they are — not as exotic objects for the lens, but as fellow and equal travelers on this spinning globe. And they in turn pay her the greatest of tributes as well: to go on about the business of their daily lives as she photographs. There’s no arranging here, no posing, no invasion, but rather a shared moment in time between kindred spirits — a simpatía. These words accompanied the exhibition that Mariana Yampolsky had at Southwest Texas State University San Marcos. On the Edge of Time is the title of that exhibition and it also became a very successful book – as it happened with almost all of the books that Mariana was involved in. As Mariana has said, she was never interested in photography to express herself. For almost half a century she was concerned that one might miss to notice the dignity and humanity of Mexican people. Her childhood in her grandparent’s farm linked her directly to countryside experiences, which can be enjoyed in her magnificent photography. Fiction and reality are part of Photography. In the long time and deep friendship Mariana and Lola had, in their photographs, reality was the predominant path, although some things in Mexico are so unusual, that they almost seem surreal. This happens in both artists’ pictures. Morale and harmonic values were part of their approaches. Their images have clear visual images. A kind of aesthetic curiosity nourished the two friends and colleagues, and therefore nourishes us, the spectators. Their sensitive qualities allowed emotions to inhabit the scenes. Humility was part of themselves as much as their photography. They didn’t need to agree on all these qualities, they didn’t even discuss them, nor remind each other or arrive at a consensus. For Lola and Mariana, these were relevant and natural parts of life, they were a given. As much as reality is there, there are some paths of unsolved things. Both photographer-artists didn’t create mysterious situations on purpose. One cannot say they did documentary photography – the kind that tries to capture every detail. Nor that they deliberately left aside elements. Documentary, experimental, artistic, ephemeral, all those parts constitute photography. Lola Alvarez Bravo did a great number of portraits, and complete body figures. 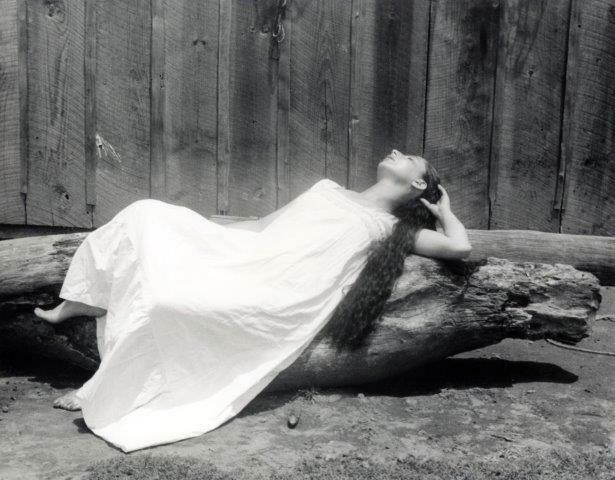 At some point, her elegance and the surreal Mexican atmosphere became one in the photographs of women in reclining diagonal positions, mostly contrasting in high light values of white dresses and the darkness of tree trunks and/or environment. One of the most renowned photographs by Lola is El ensueño / The Dream, 1941, which happens to be in this type of composition above mentioned. The woman is Isabel Villaseñor, who was a painter, actress and poet married to the painter Gabriel Fernández Ledesma. 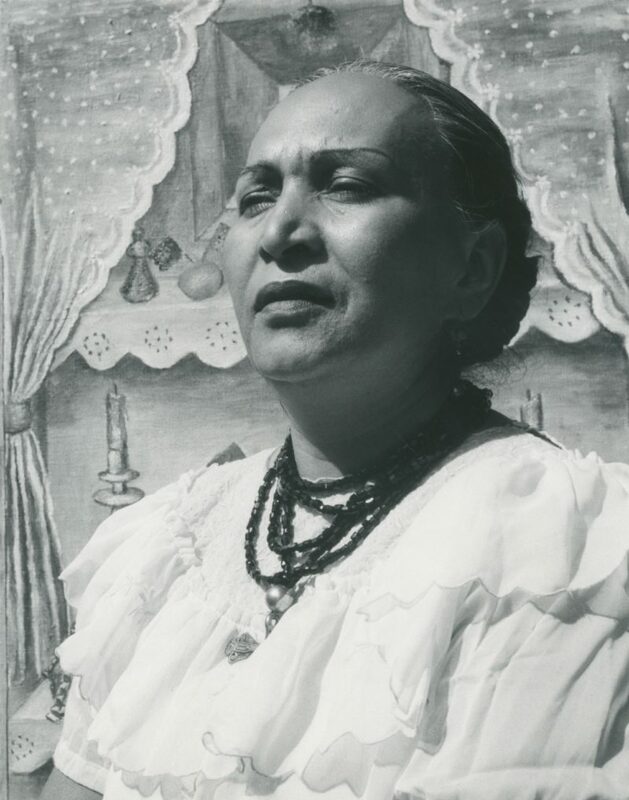 Olga Tamayo’s portrait, a gelatin silver print of 1940’s, has a similar interest in breaking the central and classical composition. This type of diagonal composition can be traced in different photographs not only in women’s portraits. Men asleep as in Laziness, or as in Asleep (under the truck), follow the same angle Lola caught with her camera. At some point one can also mention in this group one of the many portraits Lola took of Manuel, this one under the title Manuel Alvarez Bravo (reclining and smiling), 1934. 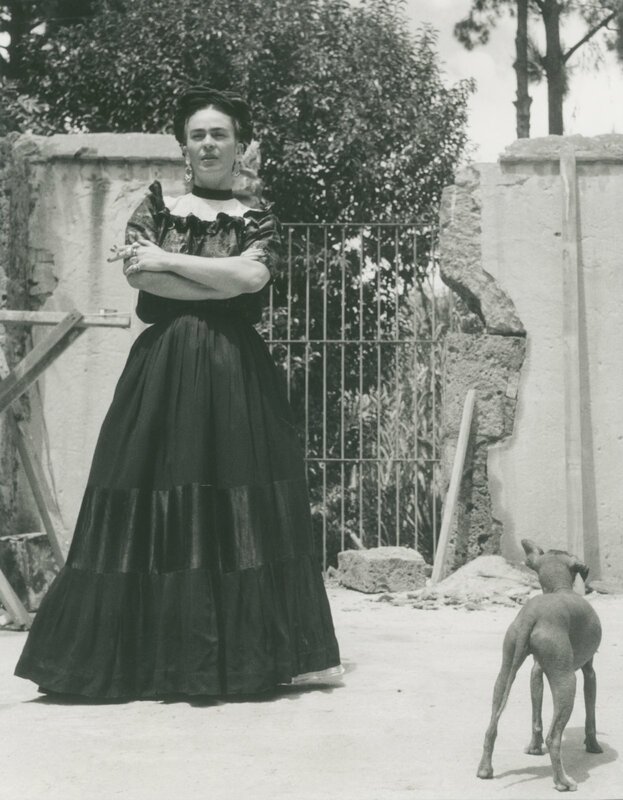 A diagonal less abrupt is used by Lola in one of the most famous portraits she did of Frida Kahlo dressed in black with the windowed mirror and the escuincles, her little two dogs, circa 1944. For Lola, portraits were to capture the physiognomic signs and the distinctive expressions, therefore, a three-quarter profile as in María Izquierdo, 1940, and face in complete profile in Alfa Henestrosa, 1950, capture the information and present personality signs. María Izquierdo painted some little theaters, and house interiors with curtains that the photographer reveals to the public as identity elements. On the other hand, Francisco Toledo, 1970/80s is a symbolic photograph, one that goes far more than registering the face signs of the master artist. The body frontal – with a subtle inclination towards the right of the viewer –, creates an “X” with the head towards the left. Such a confrontation reveals his intense personality, and the dominant power he has as a world-renowned artist, and as a local leader. The architectural elements accompany in a geometric contradiction of round and cross shapes. 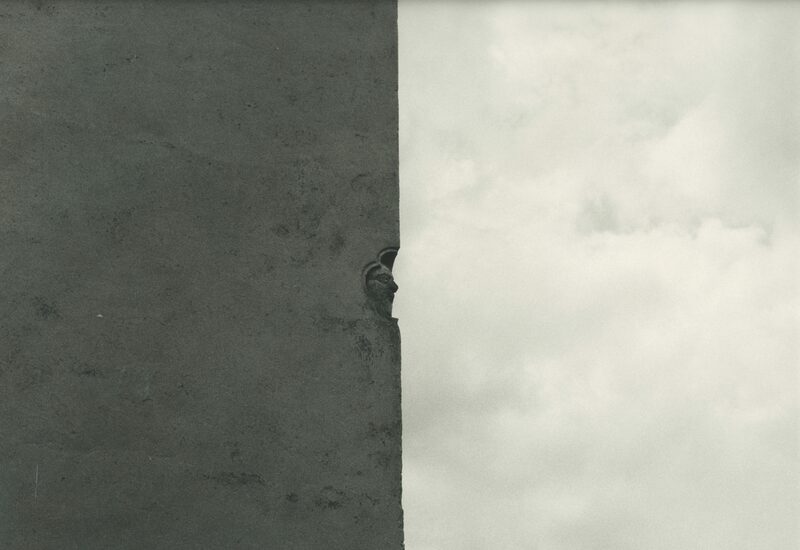 We are enjoying a Visual Dialogue between Mariana’s and Lola’s photographs. Mariana also approaches non-frontal interesting angles as in El pan/The Bread, Mexico, 1992. 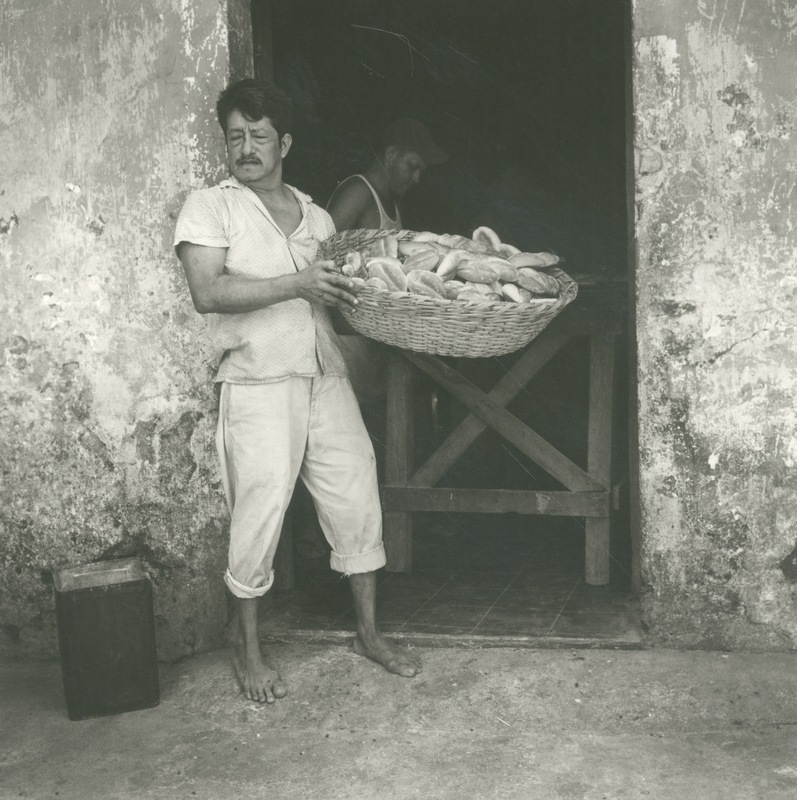 The man is presenting the bread and holding the basket in a daily scene. Three vertical elements: both walls and the man, create the balance with the symbolic horizontal-oval container. Food, survival, means for the buyer and for the seller, are framed by rich textures in a light and shadow image. A similar composition of the areas dividing the photo is in El Desayuno/Morning Breakfast, Hacienda Tepetates, 1984. It is a highly reproduced work by Yampolsky with an unusual distant scene. 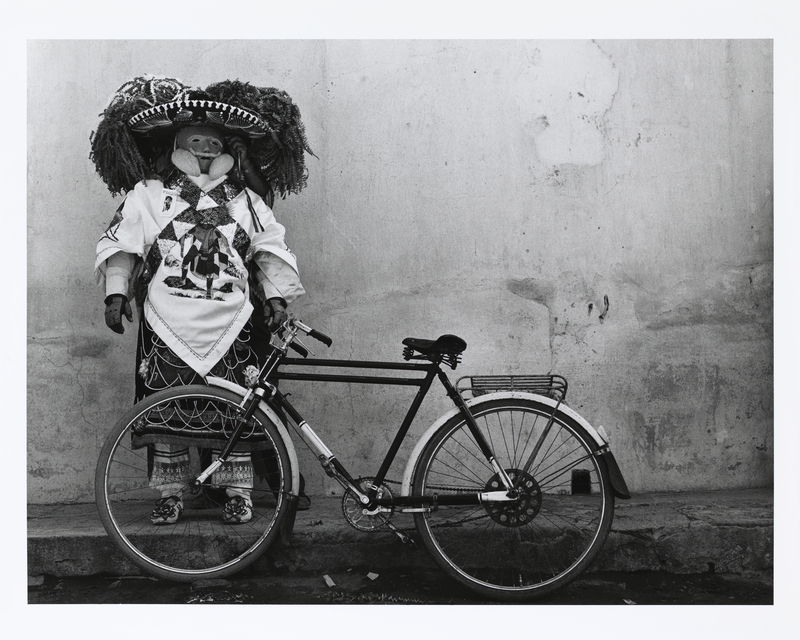 Danzante con bicicleta /Dancer with Bicycle, 1991, is a presentation of opposite elements: the indigenous traditional dress and mask, and the unstable transportation vehicle, meaning past and present time together. 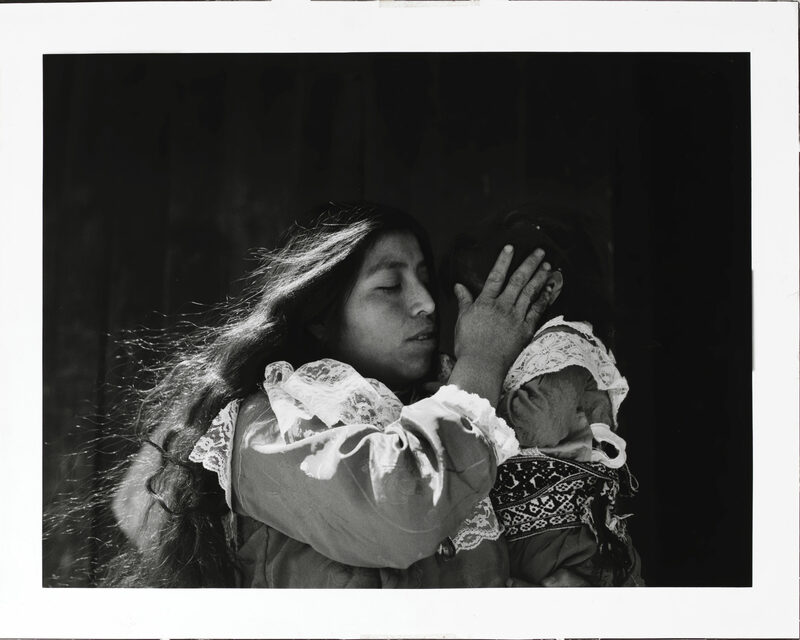 Caricia/Caress, 1989, although it is not a self-portrait of Mariana Yampolsky, it reveals her deep tenderness and love for the indigenous people of Mexico. This image is an intense contrasted light and shadow baroque result, one of those that doesn’t happen every day. If Caress signifies a natural attempt to register love, La Bestia/The Beast, 1988, expresses the opposite, the ferocious animal activity in contrasted dark environment, and inhabited by tensioned texture. Mariana Yampolsky did group photographs like El beso de la muerte/The Kiss of Death, circa 1960’s. A community celebration, where the photographer is behind the crowd and reveals the ceremonial integration. It can be compared with El Henequén, 1990, in the unusual baroqueness that overcomes three quarters of the image. 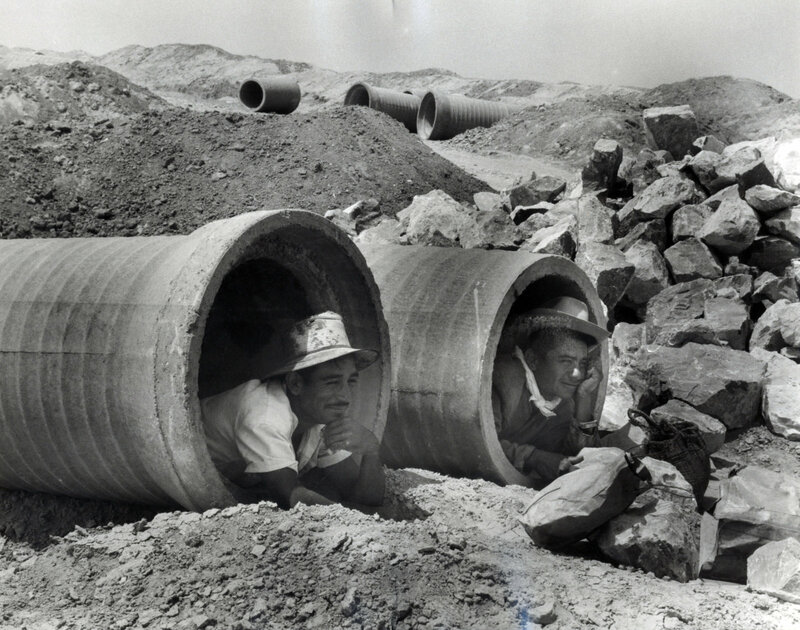 This image is a metaphor for the intense work that people must do to get the fiber from the land and into the hands of the workers, and then through the processing until finally arriving at the buyer’s hands. Abstraction came in hand to Mariana. 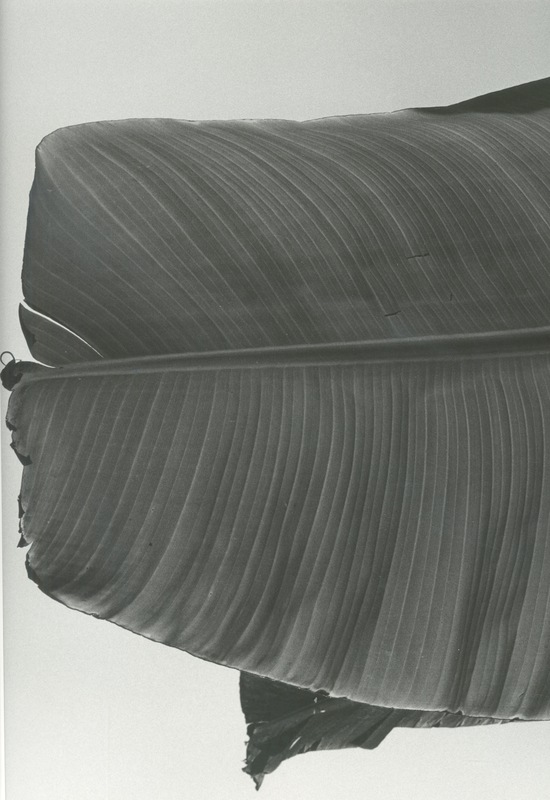 Either from photographs of leaves as Hoja de plátano / Banana Leaf, 1992 or in Al filo del tiempo / The Edge of Time, 1992. In those images one feels the power of the artist. She pulled well into the subject, cut whatever anecdotic element she could and created those absolute images. Being black and white offers the viewer a much stronger situation and a confrontation. Continuing with Lola and Mariana’s photographic dialogue, we analyze two prints that have much in common, although with a time difference of sixteen years. This pair of images could be called women by women. It involves two models and two authors. But there was no call of feminist concerns. Women were hard workers, carrying and passing on their traditions. Yalalag. 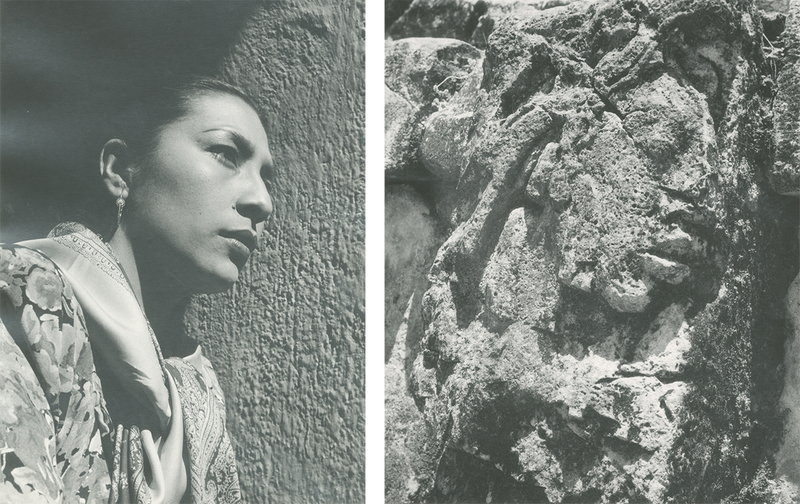 Oaxaca, 1946 by Lola Alvarez Bravo is a gelatin silver print (9 5/16 x 7 3/8 inches). Yalalag is an image that does use the diagonal composition but articulating triangles and rectangles in baroque contrasts. Thematically, here is a standing woman displaying Oaxacan women’s clothing. The photo doesn’t reference poverty, but the woman with her hand in her face – like thinking – insinuates concerns, things that preoccupy her. No doubt that the situation deals with the singular and with the plural, meaning with herself and with the indigenous people that then and still now are not respected, nor protected. 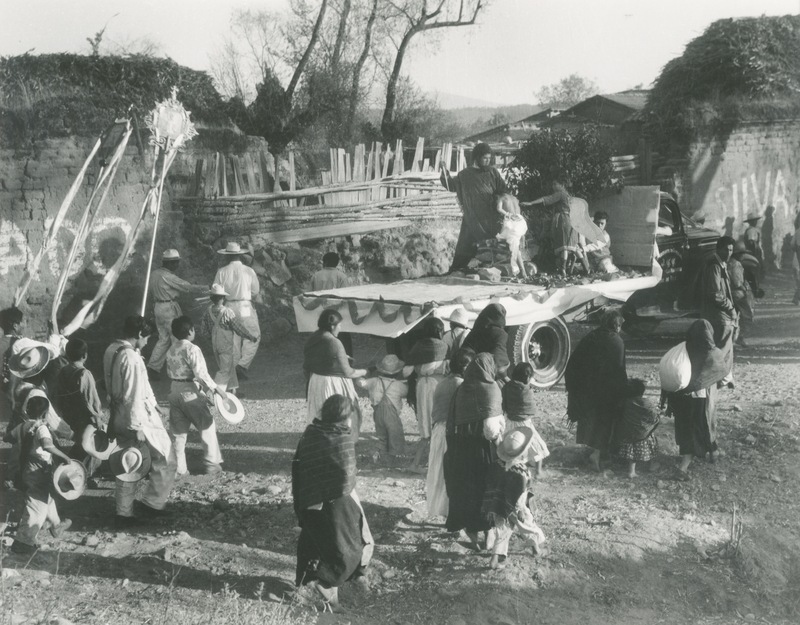 Huipil de Tapar / Covering Huipil, 1962 by Mariana Yampolsky is also an image taken in Oaxaca. This vintage gelatin silver print (14 x 11 inches), one of Mariana’s most well-known pieces. It is a complex composition – one can say, a battle of forces – between light and shadow. The shoeless woman walks. From the feet up, she seems to be a dark column until the huipil blows away from her body creating a volumetric thing, like an opened bird wing. On the side, almost opposed to her, is a dark vertically diagonal column with complex bits and pieces. It is a shadow that part of the construction ceiling projects on the light external wall. Covering Huipil is a constant confrontation of opposite pairs of light and shadow. Both friends dealt with the cactuses and the landscapes in notable photographs that the viewers can enjoy comparing by themselves. This means one can have access to culture through Lola and Mariana. Culture was considered a huge portrait of social life. Having arrived at the end of the essay, having gone through cultural paths as a continuing experience with Mariana and Lola, we perceive they developed cultural preparation, respect and independence. Both had naturally accumulated heritage. Both managed how to inherit it. And each one accessed it by means of their exemplary interests, creative spirit, freedom, personal curiosity, respect, dedicated work, and good humor. At the same time, Lola and Mariana allow to understand that photography is a medium with no end. (1) Different versions can be found in relation to this situation. Some say Tina Modotti gave the cameras to Manuel for free. Other documents mentioned that they bought them to help her, also considering that one had been from Edward Weston. 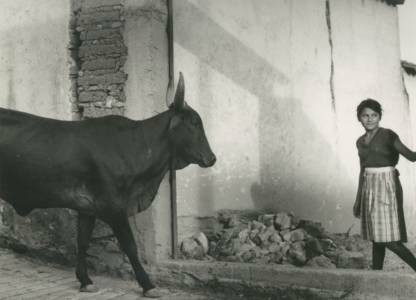 Some stories tell that Tina Modotti was coming back to Mexico for various reasons, one was to recuperate her cameras she had left with Lola and Manuel. 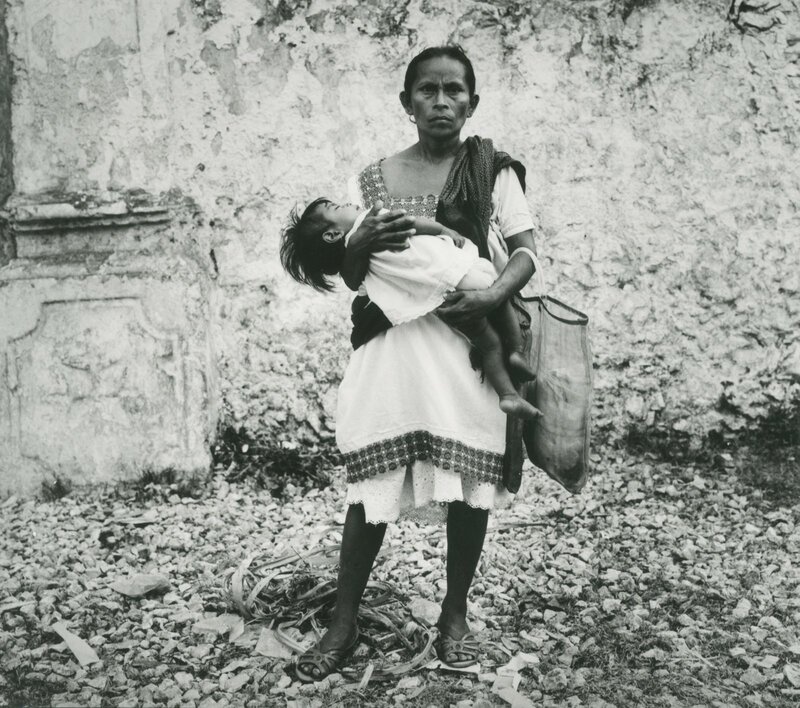 (3) Héctor García, the renowned Mexican photographer, mentioned in some of his memories, that long after working as a photographer, he realized that the way he and some colleagues pointed the camera towards indigenous people, showed less or more respect for them. The visual reference that explains the difference is: pointing frontal or upwards versus taking a higher position than the people, therefore creating respective photography. The reader can incorporate such a consideration also in any Art History analysis, as much as in daily life. (4) The topic can be researched when the Mariana Yampolsky’s fund opens at the Iberoamerican University in Mexico City. Meanwhile there is the book Oscar Hagermann Arquitectura y Diseño by Elena Poniatowska, Paloma Cera, and Oscar Hagermann, edited by Arquine and CONACULTA-FONCA, Mexico. 2014. A self-made man who loved to collect rocks, stamps, coins and arrowheads. In the beautiful Throckmorton Fine Art gallery, a peaceful space with pristine photos, Spencer Throckmorton greets RAGAZINE and its readers. We sit in one of the private spaces surrounded by magnificent pre-Columbian and Asian art, accompanied by a tapestry that reveals the rich geometry of previous cultures. GK: Take us to the beginnings of your collecting. ST: As a child I was not playing with other kids; my interest was not in marbles which they often played. I was mostly by myself with my treasures of arrowheads and the other stuff. I had them in my pocket and that was my way to play and enjoy. When I was seventeen, we travelled to Europe with my high school group, I went to museum after museum, with the group and alone. In high school, both my introductory class to American Indian cultures, and my passion for arrowheads, led me to study Art History. I graduated from Virginia Commonwealth University where I also had an introduction to Asian Art. During college I was selling clothes at a fashion store to earn money. You know I lived in Guatemala, the time there was magnificent. One could find little archaeological pieces anywhere just by scratching the surface of the land a little bit. Of course some were broken, but they were original ones. GK: What was the first photo you ever bought? 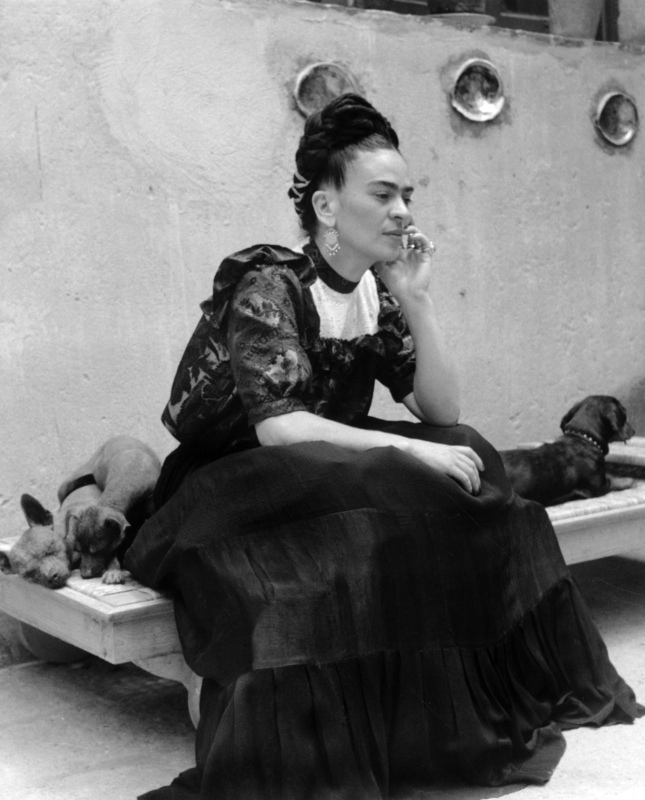 ST: In 1977 I bought my first photo of Frida Kahlo. I had just started reading about her and when I saw the image, I knew I had to have it. I matted it but did not frame it, and I had it with me for a long time. Then eventually I sold it, but I have another one of the same characteristics. I love it! I began to live in Guatemala in 1971. Those five years I lived there I went twenty or thirty times to Mexico, I had friends in Mexico City, I could speak the language and enjoyed the indigenous cultures. I also began to visit the desert in Guatemala and Mexico. I loved both countries being so different from the United States. I was born in Virginia. I had a very small family. I have two sisters and a brother, but I didn’t grow up with them. I lived with my grandparents, I was like an only child. They allowed me to travel and exposed me to antiques. My first TV was black and white, I sat in the living room and watched those black and white images move presented with light. I was not much of a cinema person, probably because to see cinema I had to go to another town. GK: What is it that attracts you so much to the stones and to photography? ST: It is all about light, how it works on surfaces, and it creates reflection. One absorbs, captures …, the other one reflects. Also, the light in high-altitude places is so different…, I loved the light in Guatemala and Mexico. GK: What did you do with the collection of arrowheads? ST: It came a time when my collection included hundreds…, I didn’t show them to anyone, it was for my pure joy. But it came a time when I had to sell them to pay part of my studies. GK: You never mention archaeological research. Did you participate in any such expeditions? ST: No, all were personal findings. I loved things that could fit into my pocket! 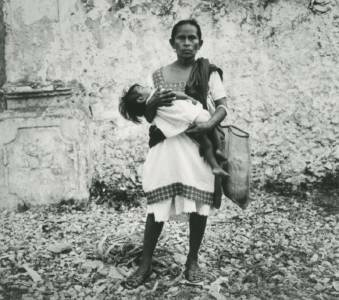 GK: You are renowned for being an expert in Latin American Photography. But you are also an expert in stones, pre-Columbian art, jade, Chinese jade, and Sculpture. Take us through that path. How did they appear in your life, in which order? He smiles, he dreams of the pleasures we are talking about. ST: Due to my love for things that fit into my pocket, the stones were first. And then, the arrowheads. People wanted to buy those, and they offered to pay a lot of money, but I didn’t want to part with them until I had to. As I told you, it all had to do with light. Jade, I admired Chinese jade. It exists in many colors, and it has many qualities. But light, oh! that is so special. The green represents life. It was also 1971 when I bought my first jade. Jade is a precious stone. Many people buy them as wearables. You also find them with gold. None of those are my kind of pieces. It is like a secret pleasure. I like to have them in my pocket and occasionally show them to people. That is the origin of my archaeological passion. GK: Were you ever speculating with the rise of prices of jade or of any other of your treasures? ST: Oh, no. I always considered very reasonable prices! I hoped I wouldn’t do that but that is who I am. Going back to the order of things, from stones I went into sculpture. From tiny to larger things. The feeling of having something so small and so powerful in the pocket is like reaching the sky all day long. Manipulation of stones and jade was like dealing with beads and small plates. Then I became aware of sculpture that I couldn’t have in my pocket. Discovering its qualities, the contrasts, the textures, and of course, the lights and shadows, all of that in sculpture became new findings for me. I began to enjoy that deeply. Apart from that, I was working while I was going through these paths. GK: What were you working at before beginning to sell photos, stones and sculptures? ST: Having lived in Guatemala made me think I could sell photos. I learned from those countries where I also worked in a gallery of Latin American art. My first little exhibition in my apartment in New York had approximately thirty pieces. It was in 1978. I hired Mariln Barth as gallery director, she was from Norway. At the beginning I was selling Manuel Alvarez Bravo, Hugo Bremer, Graciela Iturbide, and Flor (Garduño). At that time, I was only selling them, I was not representing them as I do now. It was not a huge success, but I liked it. 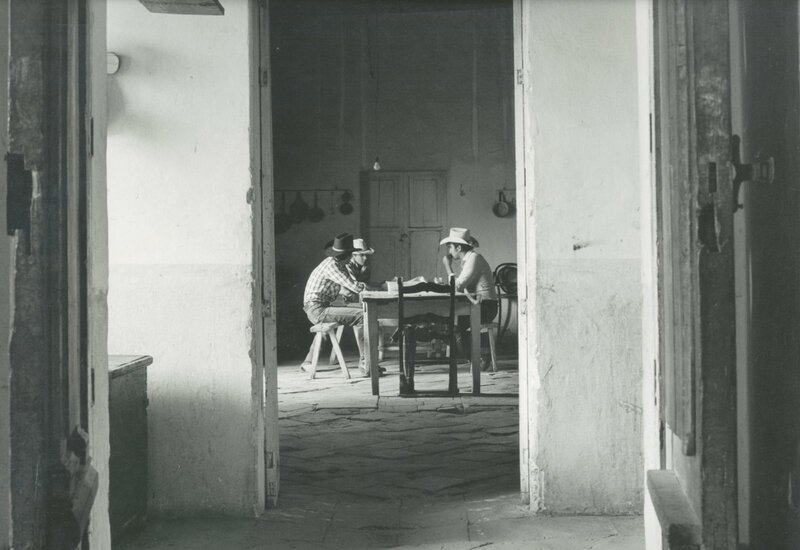 There were many galleries, but none were specialized as me in Latin American Photography. 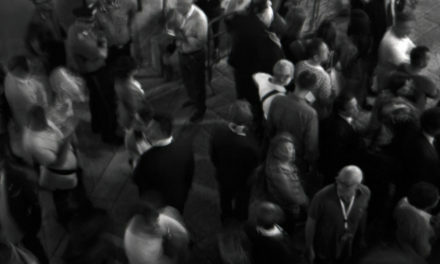 People in the United States preferred the US photographers. At that time, with some extra money I got, I could buy more photos and make the gallery a continuum. At the beginning, I was a private dealer. Mariln insisted that we had to go public. I continued selling Manuel and Lola Alvarez Bravo. GK: What were your fears and reluctance to go public? ST: I was afraid of the expenses, there are many expenses to run a gallery. One cannot be sure it is going to sell. I knew that meant a lot of financial responsibility. Doing things correctly demands a lot of money. Not only framing which is another important part of an exhibition. Then, I used to frame each photograph individually. After many years I realized that I could do good frames that work well for all the photographs and just have them ready. GK: Did you have to work out many figures and numbers before deciding to go public? ST: Oh, I did! And I realized I couldn’t do it alone. I made my way to get a bank loan. It was not easy to get a credit line of twenty-five thousand dollars for someone selling photography. I had to fill out many papers and have various interviews, and so on. 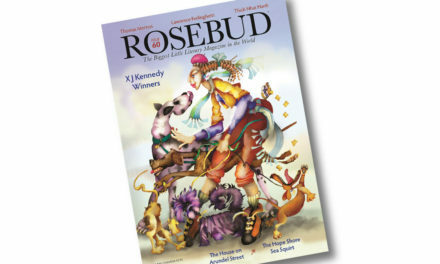 I still remember the employee’s name with whom I did all this at the bank: Andrew Rose, a very nice person. To my surprise, the credit line the bank gave me was for two hundred and fifty thousand dollars. I paid it all. I didn’t want to carry that for very long. We became public in 1994. Remember, Photography had a long journey until it began to be perceived as Fine Art. In 1984, when the Getty Department of Photography was established, it was the official recognition of Photography as a medium in the arts. It was what made the difference. Only then private and museum collections would consider it seriously. It was when I moved to 61st street, a bigger space. I didn’t know that it was the apartment of Peggy Guggenheim. Later on, Mariln wanted to exhibit an unknown Brazilian photographer. I wish I had done what she insisted on: giving a show to Vic Muniz. Who could think a beginner Brazilian photographer in New York, using chocolate and these things, could be a success…? My big mistake. There are many anecdotes, but one stands out. A lady came in, I greeted her as I do welcome everyone. She said, do you know who I am? And she smiled. When she smiled, I immediately recognized her. That smile is impossible to forget. And she was there! Shirley Temple Black came! The marvel cinema child, the diplomat, was visiting our gallery on 61st street. From then onwards, there was a change. It was unexpected advertising. GK: As we are sitting here in this relaxing room full of Art, it comes to my mind the possibility to offer the reader some recommendations about setting up art. Let’s talk about the set up of art in the gallery and in the home. ST: At the beginning all the exhibitions were both, stone and photography, they go well together. They look nice. Later on, I realized that separate, they create more respect for each other. Not only did I begin to do frames in the 1980s, but also pedestals. People can put a wonderful Asian or Pre-Columbian object on furniture near a flower base and an ashtray, for example. Or in the middle of a table on top of a crochet little carpet. So, I’ve given many pedestals to clients who buy Sculpture. One can see them better, they show their significance. The conditions how one present an artwork show the respect for it. Styles and materials can be mixed as much as they can also have some space between them. GK: We can also mention to the readers that pedestals and frames need to be neutral, they don’t have to have decorations. ST: They are a presentation element, in some museums they call them the exhibition furniture because they are furniture but have no drawers, neither inlaid. As a general rule, pedestals and frames have to visually disappear, the importance is in the art. Depending on the floor and the walls, a black neutral pedestal or any neutral pedestal are the two best options. And not shiny, the light has to be for the artwork. While in Photography, if the photographs are set up in the collector’s space, then the light -the wattage-, has to be adequate for conservation … for the healthy life of the art piece: 16 MR LED. Also, photographs and any artwork on paper will suffer with direct sun light, so avoid that. ST: Yes, since 1986 we do fairs, many each year. It is an enormous effort, physically, mentally and financially. Some fairs are focused on themes, time periods or other criteria. I enjoy creating a booth with interesting artworks for the visitors. A Fair and a gallery offer different opportunities to the viewer. In the Fair, the key is for the public to make a quick decision. Everyone knows the fair will only last a few days. GK: For sure the readers are excited to know about Frida Kahlo’s photography. You are a significant collector of her photos. In the magnificent exhibition in the Victoria and Albert Museum in London, you lent four of Frida’s portraits, they were among the highlights of the show. ST: Frida’s cult has now eclipsed Diego’s (Rivera). She was an incredible woman and artist, also a very unique model, which photography allows to understand very well. We lend for different exhibitions, and many people consult us, too, not only on Frida’s images but on all the Latin American scope we specialize on. 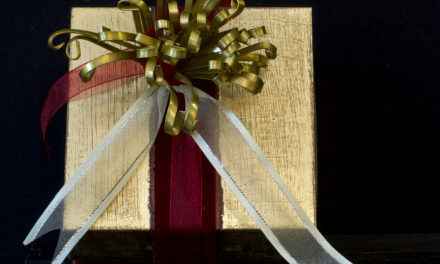 Some people need to know about donations, auctions, and inheritance topics. I continue collecting photography. Some people see it as a multiple, I see them as works of art and enjoyment. Each photograph tells us so much about history, human and technological developments, and the growth of cities that one visits in Latin America. Collecting photography is also having decoration that is not superficial, and deals with a variety of topics…whether with human, landscape or animal elements. We have to remember another quality of photography: it is very easy to transport. I am always interested in History, I see evolution through Photography, and also one observes the culture of Latin American countries. Sculpture is more mythological, Photography is more narrative. Art Historian, graduate of the Liberal Arts College at the University of Buenos Aires, Argentina in 1976. She created the Latin American Modern and Contemporary Art History Program for UNAM -Mexican National Autonomous University, Mexico City, where she was part of the Faculty for more than a decade before coming to New York. 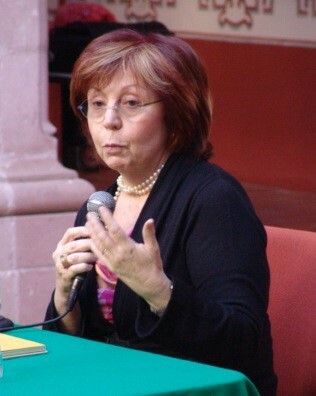 She is lecturer and visiting professor in different universities, among them Cristobal Colón University, Veracruz, Mex. ; Universidad Michoacana, Morelia, Michoacán, the Hochschule für Künstleriche und Industrielle Gestaltung in Linz, Austria; and Hunter College, New York City (in relation to a curatorial programm). She works as critic and independent curator specializing in Contemporary Art, and Latin American Art. Graciela Kartofel lecturing at the National Museum of the Death. Aguascalientes. Mexico. 2010. Photo by Jorge García Navarro.